Dr. Joseph Sproviero received both his MD and PhD from Columbia University, College of Physicians and Surgeons. He completed his residency in Internal Medicine at Yale-New Haven Hospital and a Fellowship in Allergy, Clinical Immunology at Yale University School of Medicine. 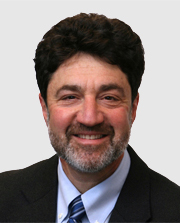 Dr. Sproviero was voted by peers to Connecticut Top Docs and was the former President of the Connecticut Allergy, Asthma & Immunology Society.